Prepared by S. A.Mitchell for issued as plate no. 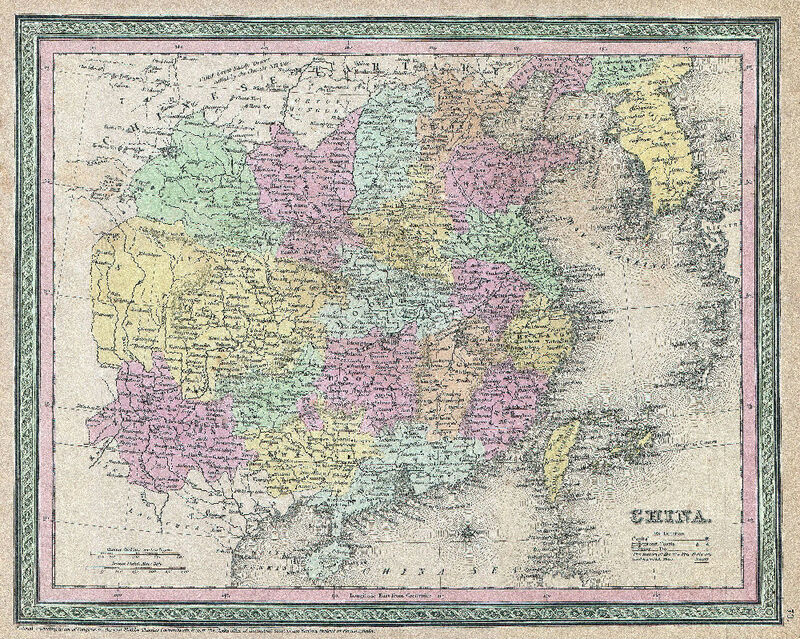 70 in the 1853 edition of his New UniversalAtlas. Dated and copyrighted, “Entered according to act of Congress, in theyear 1850, by Thomas Cowperthwait & Co., in the Clerks office of theDistrict court of the Eastern District of Pennsylvania. Height 29.2 cm；Width 36.8 cm.